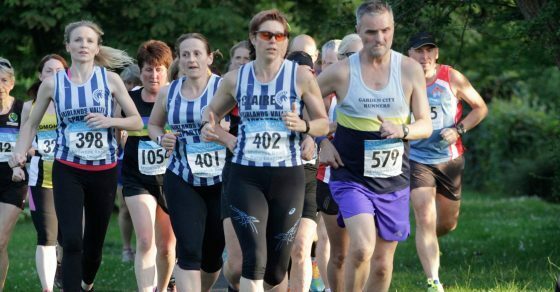 The mid-week league is a series of 10k* races held against other Hertfordshire clubs. The races are held from May through to July. There are three divisions and four clubs from each host the race in turn. In July there is a 5th Mob Match where Clubs from all divisions meet in a friendly race. Races are free and open to all members of the Spartans. Each runner must wear their club vest when competing. There is no need to register, just turn up and you will be given a number. You must keep hold of this number and wear it at all subsequent races for the remainder of the series. Each runner scores points for their club depending on their finish position. Men and Women run together but are scored independently. While only the first few team members to finish will score points directly for the club, runners finishing lower in the ranks will affect another club’s score. All members are welcome and encouraged to run. *Some races are accurately measured, others are approximations. Dates and Results can be found on the Calendar and the Forum and on the Run Herts Website.